If you prefer to register and pay off-line, please call (206) 842-4475 x216 or come into BARN. To change or cancel your registration, please call (206) 842-4475 or email info@BainbridgeBARN.org at least four (4) days prior to the class/event start date in order to receive a refund. As writers we long to hook our readers’ hearts as well as their minds. Together we’ll discover how conflict and tension fuel a character’s emotional journey and keep readers engrossed until the very end. Using examples from current literature, we’ll discuss techniques to strengthen your story’s emotional core and identify the one thing every powerful story has in common. Be prepared to participate in short writing exercises. Come with the seed of a story you’ve always wanted to write, opening pages or better yet a work in progress. 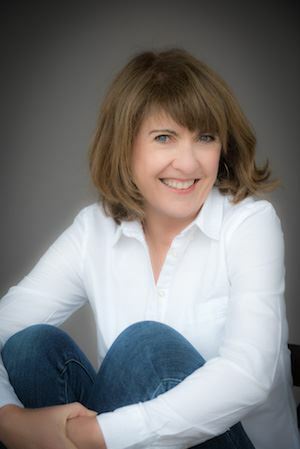 Instructor: Maureen McQuerry is an award winning poet, novelist and teacher. Her YA novel, The Peculiars (Abrams/Amulet) is an ALA Best Book for YA 2013, Bank Street and Horne Book recommended book, and a winner of the Westchester Award. Her most recent books are an MG fantasy duo, Beyond the Door, a Booklist top Ten Fantasy/SciFi for Youth, and The Telling Stone, a finalist for the WA State Book awards. A new historical novel, Everything After, (Blink/HarperCollins) will be released in Feb 2019. Her poetry appears in Relentless Light, (Finishing Line Press) The Southern Review, Smartish Pace, and Georgetown Review among other journals. She taught middle school through college for almost twenty years with a specialty in gifted education. In 2000 she was awarded the McAuliffe Teaching Fellowship for WA State. She currently supervises student teachers for WSU, is a board member of SCBWI Inland Northwest.